Phi Phi Island Holidays gear themselves to westerners sense of aiming for the paradise get away, on that tropical dream beach in happy, smiling Thailand . Visitors from Europe, America, Asia, Africa, South America, etc dominate the hotel bookings on Phi Phi Island. Thai's tends to visit Phi Phi during their national holidays of the exciting Songkran and balmy Loi Kratong and it is also busy for the International New Year and Chinese New Year. Phi Phi Island travel is enjoyed by people from all walks of life, all across the world. Phi Phi Island on the western seaboard east of Phuket, is tropical and divides into two main islands. Called Phi Phi Don and Phi Phi Ley these names live long in the memories of those who visit. International tourists as well as locals are drawn to this beautiful area because of the towering limestone cliffs and soft, white, sandy beaches. Since the area has a small population and no roads, Phi Phi Island holidays are quite relaxing. It is actually one of Thailand's most popular tourist spots for a Phi Phi Island holiday. Since International Phi Phi Island travel is fairly common, transportation to and from the island has been broken down to a science. First, anyone on a Phi Phi Island Holiday must travel by boat from Phuket to Phi Phi Island. The last boat of the day leaves Phi Phi island for Phuket at 14.30. When planning your flight arrival times, do so accordingly. Since Phi Phi Island travel is so popular, you should always buy your boat tickets in advance because it can be impossible to buy them on arrival. 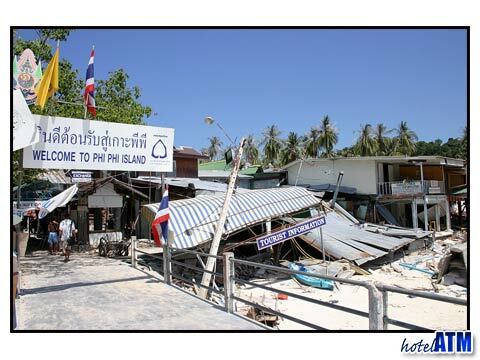 Just to be safe, tourists should always plan on staying one night in Phuket before continuing Phi Phi Island travel. This is because flight connections are be delayed frequently. 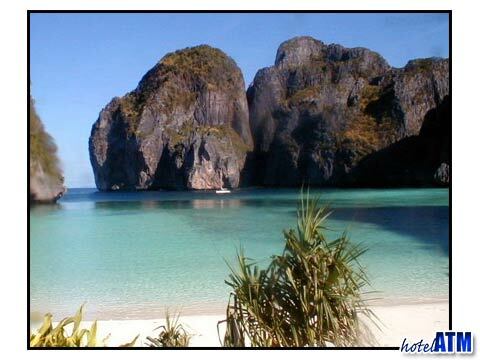 Phi Phi Island holidays are not only for international travelers. Thai locals also enjoy the breathtaking scenery on this serene island. Much of the domestic travel consists of day trips from Phuket to Phi Phi. There are many package tours that cost between 500 and 1200 Baht. On these trips tourists and locals can go snorkeling, site seeing, or boat riding. Usually this type of Phi Phi Island travel leaves early in the morning at about 8.30 from Rasada Pier in Phuket and returns in the early evening at about 5pm. Being a Thai local simply means being closer to the purely natural beauty of Phi Phi Island. Domestic tourism is just as important to Phi Phi island people as the European Phi Phi Island Holidaymakers but the Thai Nationals will prefer to stay on the beach and not venture off to far on the smaller boats. Thai people will only swim in the morning and late in the afternoon to avoid the heat of the day.